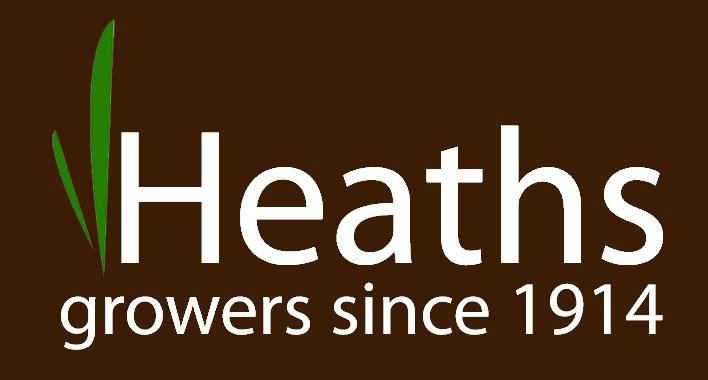 At Heaths we take pride in fresh, delicious, quality home grown vegetables, and we want you to enjoy eating them as much as we enjoy growing them. 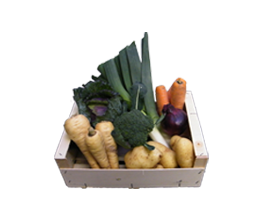 That's why we have introduced our vegetable box scheme, delivering the best of our seasonal produce direct to your door. To the right you can order a single or weekly veg box from us. 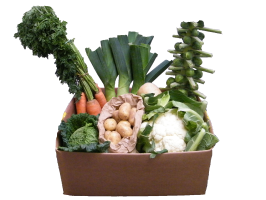 See below for the typical size of each veg box. If you’re not sure if a vegetable box is for you, our farm shop is open 6 days a week, you can find us here. Yes No - we are unable to deliver, sorry. Yes No - Sorry we can't deliver to you. 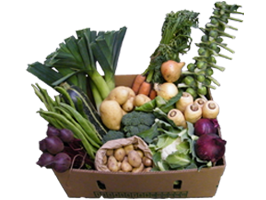 *Veg Box contents will vary each week due to availability - we aim to make them as fresh and interesting as possible! If you really don't like something please write it in the notes section or email orders@heathsfarmshop.co.uk and we will do our best to swap it for you. We currently only deliver to Melbourne, King's Newton, Ticknall and Wilson. We deliver every Tuesday and Friday. Orders placed within 36 hours of selected delivery date are unlikely to be processed until the following week. For more information call our Farm Shop from Wednesday - Monday 9am - 5pm: 01332 862645.